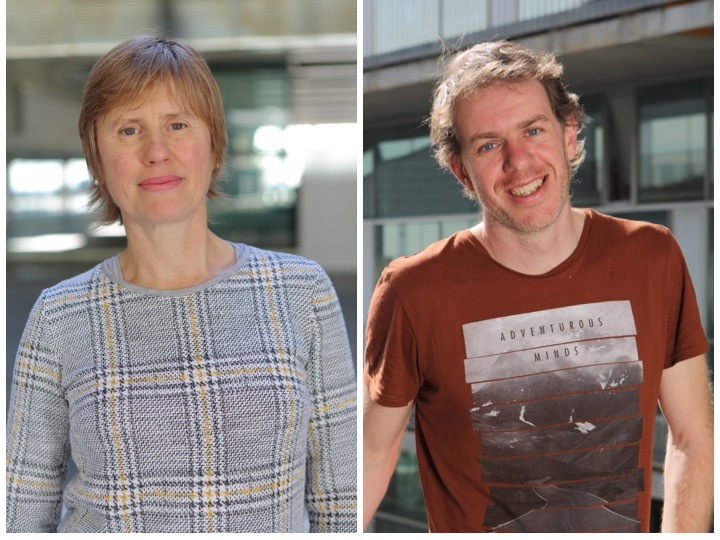 “Election to the EMBO Membership is recognition of research excellence, and I am pleased to welcome so many great scientists to our organisation,” said EMBO Director Maria Leptin. “We received more nominations than ever before during this election cycle, which pays tribute to the strength and diversity of the European life sciences. Drawing on our new members’ expertise and insight will be invaluable in helping EMBO to deliver and strengthen its programmes and activities in the years to come,” she continued. The total number includes 56 EMBO Members residing in 19 Member States of the European Molecular Biology Conference (EMBC) and nine EMBO Associate Members currently working in the USA and Japan. 40% of the elected researchers are women. The election of Fatima Gebauer and Ben Lehner emphasizes the research excellence at the CRG as well as the scientific merit of its faculty. Ten CRG group leaders are EMBO Members, which represent one-third of the CRG group leaders. In Spain, apart from CRG group leaders Fátima Gebauer and Ben Lehner, the newly elected members are Núria López-Bigas at the IRB Barcelona and Inañi Ruiz-Trillo at IBE, all of them in Barcelona. Fátima Gebauer is group leader of the Regulation of Protein Synthesis in Eukaryotes laboratory. She obtained her PhD in Sciences from the Autonoma University of Madrid, and performed postdoctoral research in the labs of Joel Richter (UMass, USA) and Matthias Hentze (EMBL, Germany) studying the regulation of mRNA translation in vertebrate and invertebrate embryonic development. Her main interests focus on molecular mechanisms of translational control. She contributed to the field of cytoplasmic polyadenylation demonstrating its relevance for mammalian meiotic progression, and established in vitro systems that allow the molecular analysis of translation events. In 2002, she obtained a Group Leader position at the CRG, where her group is analyzing the role of RNA binding proteins in mRNA translation, development and cancer. Ben Lehner is an ICREA research professor and group leader of the Genetic Systems laboratory. He received his PhD from the University of Cambridge and did his post-doc at The Wellcome Trust Sanger Institute. He has been a group leader in the EMBL-CRG Systems Biology Research Unit since 2006 and an ICREA Research Professor since 2009 From 2014-17 he was also AXA Professor of risk prediction in age-related diseases and in 2010 he was selected as an EMBO Young Investigator. His work has been supported by both ERC Starting and Consolidator grants. He has received, amongst other awards, the Eppendorf Prize for Young European Investigators (2013), the Liliane Bettencourt Prize for Life Sciences (2016), and the EMBO Gold Medal (2016). His group studies the causes of phenotypic variation amongst individuals, including the distribution and effects of inherited genetic variation, somatic mutations and epigenetic differences (stochastic/environmental influences), including in cancer.